Established in 1849, and named after the Rough and Ready Company of miners from Wisconsin, in honor of General Zachary Taylor. 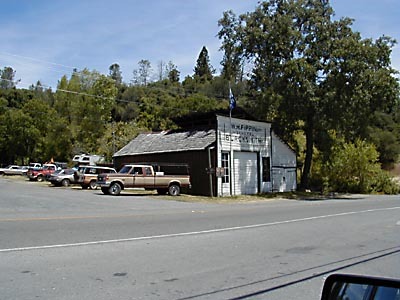 This was one of the principle towns of Nevada County. 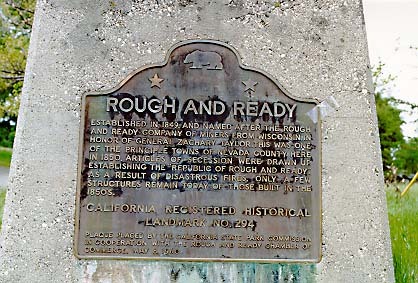 Here, in 1850, articles of secession were drawn up establishing the "Republic of Rough and Ready." As a result of disastrous fires, only a few structures remain today of those built in the 1850's. NE corner of State Hwy 20 and Mountain Rose Rd, Rough and Ready. Note the misspelling in the plaque text.